Inside Look: What Does the Close Knit Community Do? The Close Knit Community at Siena College is a tight bunch for sure, but the group's name means more than that: think backstitching, casting on and binding off. When the crafty members comes together—they try to meet once a week on Tuesdays—there's plenty of yarn to go around. 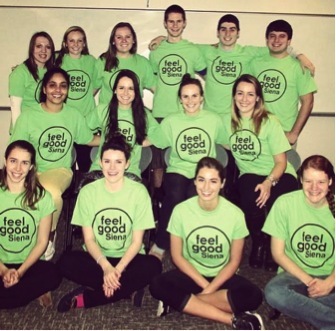 Inside Look: What Does the FeelGood Club Do? Two words: grilled cheese. If pairing that classic, oh-so-comforting, ooey, gooey sandwich with the idea of ending world hunger, while spending time with like-minded friends, all sounds like the greatest thing since sliced bread to you (we had to)...allow us to introduce the FeelGood Club. 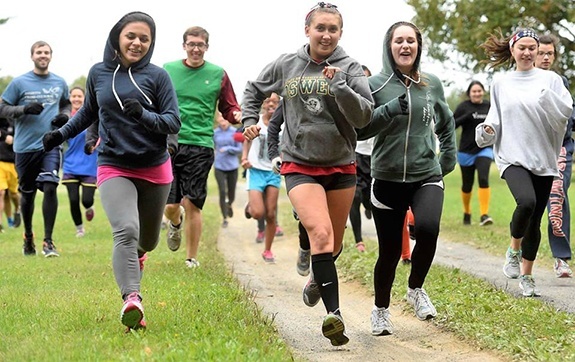 INSIDE LOOK: What Does The Outing Club Do? Siena offers more than 70 clubs and organizations for students to get involved in, and every single one is pretty awesome. To introduce you to some of our most popular, unique and just plain cool offerings, we're launching a new series here on our blog, Inside Look. The best part is you'll get to know more about the clubs, their missions and activities from their members' points of view. First up, Outing Club.